Game Away is creating Gaming News, Reviews, Previews, and More! When Game Away was founded and started uploading in 2014 we never thought we would take things this far. Game Away is...a new way people view and value YouTube gaming media. We’ve always had this burning passion of bringing our gaming experiences to everyone around the globe. We strive to bring original content to our viewers and the outstanding quality is apparent in each piece of content that we release despite our growing and dedicated following. The content that we've created has reached more people than we originally hoped for! Despite our visceral feelings to improve ourselves and reach new audiences and even with the small success that we’ve found… we just can’t do it alone anymore. With YouTube demonetizing videos left and right, it's becoming increasingly tough to earn revenue through YouTube alone. With the focus on using great hardware to create high quality content, we feel it's necessary to take the step of establishing a Patreon page so those of you who wish to support us directly can now do so. Becoming a Patron isn't required, of course, but thank you to anyone who decides to contribute. Any funds will be used for maintaining and purchasing new equipment that we may need to bring you guys fantastic content. You pay per month. We always release at least one video a week. Some slots are for playthroughs and we have a weekly gaming news series called Game Away Gazette. We also try to do product previews and impressions (notably the GameCube Plug N' Play). In the very unlikely circumstance that we don't make a single non-playthrough video in a month, we won't charge anyone for that month. Will I get previous Patron-only content when I subscribe? Yes, but only after your first payment has been processed (which happens at the beginning of the month). 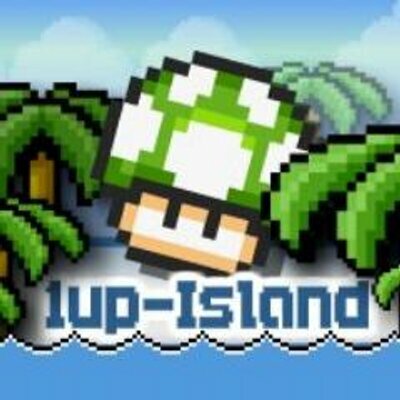 We are teamed up with 1UP-Island and their subsidiaries (1UPTV, and 1UPTV Games) and are able to secure early review copies because of this relationship. If you decide to pledge to us, we will try our hardest to get much better pledge perks in the near future like merchandise, live events, exclusive content and much more. The glorified tip jar! Together we will accomplish great things my beautiful gamers. Special role in the Game Away Discord! More than a tip jar - you'll be able to influence our creative decisions and assist in other aspects! You can be a Super Team Member! Access to Patreon feed of posts on content updates, thoughts on production, open calls for topic ideas, so on and so forth. Ask us anything - maybe get an answer. You are literally a legend in our eyes and we can't thank you enough for what you are doing for this show as a result. what does a legend like yourself get? Have your support stamped on our work forever! Your name will appear in the closing credits of future non-playthrough videos as long as you pledge. You'll be able to join us on games via Discord or collaborative videos!